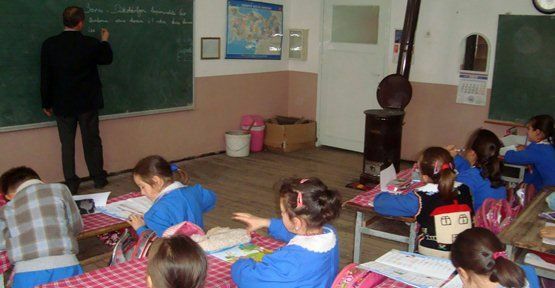 The Education Ministry has suspended 11,285 teachers for supporting the Kurdistan Workers’ Party (PKK), the state-run Anadolu news agency reported on Thursday. It is also reported that the number of teachers suspended is expected to rise to 14,000 after an investigation is completed with contributions from local governors’ offices. Prime Minister Binali Yıldırım told reporters at a meeting in Diyarbakır on Sept. 4 that there are nearly 14,000 teachers who are somehow affiliated with the PKK and that the Education Ministry is working on a list of probable suspects to suspend prior to the beginning of the new academic year. Similarly, Minister of Labor and Social Security Mehmet Müezzinoğlu announced on Thursday in Bursa that the Turkish government is making preperations for an operation to cleanse the alleged supporters of the PKK who hold jobs in public institutions. “The individuals working in the public sector who aid and abet the PKK activities in the country’s southeast are also investigated during this process. The people who have duties on behalf of state and nation but are acting against the state and the nation will not have any chances of having jobs in the public sector. So, decisions will be made in the upcoming 15 days or one month about those who have links to the PKK or support it,” said Müezzinoğlu. The minister said many as 700 people were killed by the PKK within a period of one year. President Recep Tayyip Erdoğan and Justice and Development Party (AKP) government have already been pursuing a witch hunt against people who are sympathetic with Turkish Islamic Scholar Fethullah Gülen since Dec. 17-25, 2013 corruption investigations. The process turned out to be an all-out war against Gülen sympathizers following the coup attack in July 15. In accordance with a state of emergency decree published on Sept.1, 50,589 civil servants have been dismissed and banned their employment at any state institution. Education Ministry topped the list of dismissals with 28,163 people –most of them teachers– fired following the decree. A total of 7669 police officers and 323 gendarmerie forces were dismissed from their positions. The decree also included the dismissals of 2,346 from the Council of Higher Education (YÖK); 2,018 from Health Ministry; 1,519 from Religious Affairs Directorate; 829 from Finance Ministry and 733 from the Ministry of Food, Agriculture and Livestock. Prior to the new decree, 86,000 people had already been either sacked or suspended from within state bodies. While it is yet to be known if the midnight decree implicated only the people who had already been suspended, it is thought to bring up the total number. Nearly 41,000 detained and 22,000 arrested since the coup attempt as part of witch hunt against Gülen movement. Arrestees included journalists, judges, prosecutors, police and military officers, academics, governors and even a comedian. This article originally appeared in Turkish Minute on September 8.